One of the world’s most exotic landscapes lies at the heart of the Colorado Plateau. Across the high desert of Utah and northern Arizona stretches a labyrinthine connectivity of slot canyons – narrow, deep, overhanging and fantastically carved by wind and water. Top of the explorer’s bucket list is discovering lost worlds or hidden kingdoms. And some are consumed by a lifelong quest to find them. 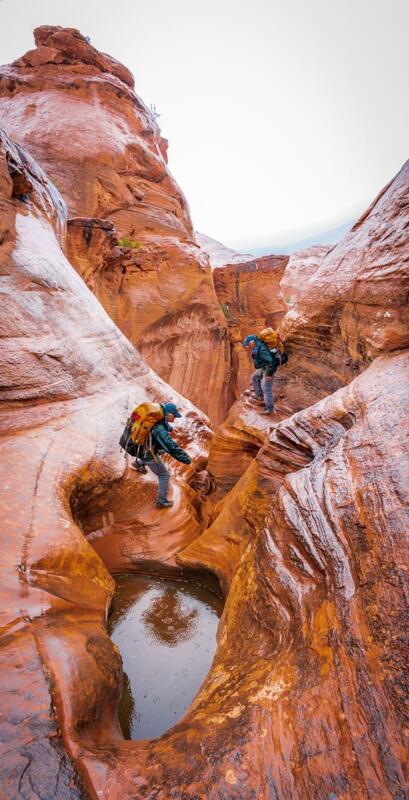 In their new book Searching For Tao Canyon Art Twomey, Pat Morrow and Jeremy Schmidt embark on a decades-long quest to find the perfect slot canyon in America’s southwest-what they call ‘slickrock Xanadu’. 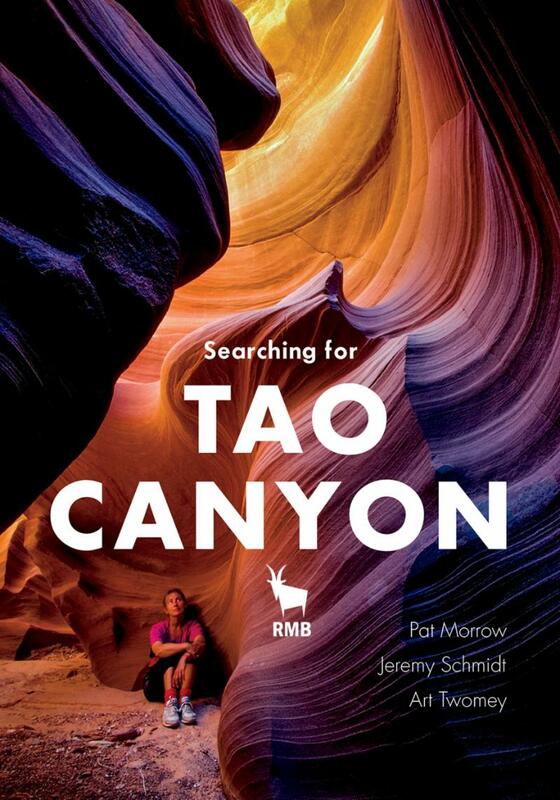 In this book, they have documented over 30 distinct slot canyons in Arizona and Utah and in an effort to maintain geographical anonymity, given them all the name ‘Tao’ (‘The Way’ in Chinese). For over a decade, beginning in 1975, the dirtbag trio inadvertently helped pioneer the sport of canyoneering. Using jury-rigged climbing and caving techniques, they hauled their cameras through the wildest, most intricate canyons they could find. The book reveals a hybrid climbing/caving sport based on rappelling down sandstone cliffs into the unknown, wading or swimming through bone-chilling pools, and using rock climbing skills to follow moki steps left by the ancient ones who lived in this subterranean world. At the time, slot canyons were virtually unknown, their exquisite beauties not yet appreciated. There were no guidebooks, no guided tours, no satellite images to work from. The pleasure came from old-fashioned exploration and a sense of discovery, of finding places no one knew. Last spring Pat and Jeremy returned to the slots in order to document the changes that have occurred in some parts of the desert, and also to look for the timeless world they had known. Pat Morrow was part of Canada’s first expedition to Mt Everest in 1982, where he became the second Canadian to summit the world’s highest peak. He was also the first person to climb the Seven Summits. He is a recipient of the Order of Canada, among many other awards; and is Canada’s top Mountaineering photographer, writer and filmmaker. He’s also a really terrific guy and a life-long ACC member! 2018 Mystery Mountain Project: Mount Waddington, BC.